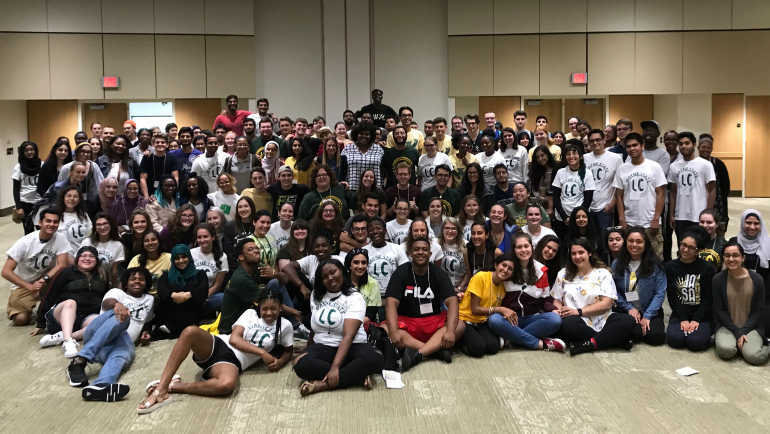 Wayne State’s Learning Communities (LC) provide students with the advantages of a small-college learning experience and the resources of a major research university. The program, introduced in 2006, has grown to include approximately 40 unique Learning Communities serving 9,000 undergraduate students. With the help of an innovative assessment approach, WSU’s Learning Communities will continue to expand and improve. Baier has led the development and implementation of an updated LC assessment process, which was launched in 2014. Her work was recognized at the Indiana University-Purdue University Assessment Institute’s annual conference in October 2018 and has since been published in the National Institute of Learning Outcomes Assessment newsletter. The updated assessment process also includes self-assessment and surveys sent to all stakeholders within a LC, including the individual coordinators, peer mentors and students participants. Baier and Cooper say they have noted an increase in constructive conversations and an increase in collaboration. To learn more about Learning Communities at Wayne State, visit wayne.edu/learning-communities. To learn more about Assessment at Wayne State, visit wayne.edu/assessment.